(Submitted photo) Margaret N. Gray becomes the new county administrator and chief clerk for Centre County administrator effective Feb. 6. BELLEFONTE — The county has added a new hire to its ranks. On Dec. 20, the Centre County board of commissioners introduced Margaret N. Gray as the new county administrator and chief clerk for Centre County government, effective Monday, Feb. 6. "I am honored to serve as Centre County's next administrator," Gray said. "Centre County has a rich and longstanding history of serving the citizens of Centre County across all 35 municipalities and I look forward to working with the commissioners, elected officials, staff and community to advance Centre County's programs and services." According to Commissioner Steven Dershem, Gray was chosen from a pool of about 30 candidates. "You've already done a lot of things we already do here," Dershem said. "You bring a package that will be very valuable to the citizens of Centre County. We're glad you are on board with us." According to Chairman Commissioner Michael Pipe, Gray comes to Centre County government with an extensive background in public administration at the local and state levels, and most recently, served as Penn State University's director of local government and community relations. 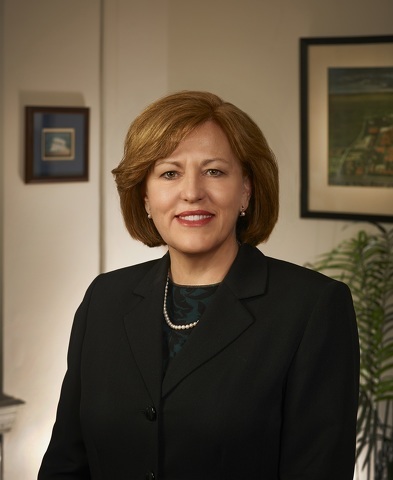 Prior to relocating to Centre County, she served as an area director for the Massachusetts Department of Developmental Services and held state budgeting positions with the Commonwealth of Pennsylvania's superior court and the New Jersey State Governor's Office of the Budget. She has held executive leadership positions with statewide trade associations, including the Managed Care Association of Pennsylvania and the Pennsylvania Association of Autism and Intellectual Disabilities. Her portfolio includes extensive experience as a state government relations director representing Fortune 500 companies and not-for-profit organizations before the Pennsylvania General Assembly and executive branch of Pennsylvania government. Gray has more than 30 years of public administration leadership and has experience in organizational and systems development, communications and public relations, human services operations, fiscal management and budgeting, government relations and human resource management. She earned a bachelor of science degree in rehabilitation education and a master's degree in public administration from Penn State. She holds board member appointments with several organizations including the Special Olympics of Pennsylvania, Centre County United Way, the State College Downtown Improvement District, the Central Pennsylvania Convention and Visitors Bureau, Centre Volunteers in Medicine and Centre County's MH/ID/EI Advisory Board, as well as serving on the general forum of the Centre Region Council of Governments. "I truly appreciate my fellow commissioners, our department heads and community leaders who participated in the interview process. Their dedication and judgment during the past few months as we searched for our next administrator will pay untold dividends in the years to come," said Pipe. "We especially want to recognize and offer our thanks and appreciation to Dee Elbell for serving as interim administrator since January 2016. We know that (Gray), (Elbell) and Human Services Administrator Natalie Corman will be a great team as we move into the coming years." Gray is a native of Centre County and resides in Patton Township with her husband, David. They have two adult children. ■ Adopted the 2017 county budget in the amount of $82,833,780, of which $77,333,780 is for the operating budget and $5,500,000 is for capital reserve. There is no tax increase to county taxpayers. The total millage is 7.84 mills on real estate assessed valuation at the rate of taxation of $.78 on each $100 of assessed valuation of taxable property. ■ Approved a contract renewal between the county and EST Inc. for maintenance and support for CAMA/tax administration software. The contract total is $23,568. ■ Approved a contract between the county and BPC Management Group LLC, doing business as Turning Point Recovery Center, to provide drug and alcohol inpatient non-hospital treatment and rehabilitation. The contact total is estimated at $1,000. ■ Approved a service agreement between the county and Geisinger Clinic CAC of Susquehanna Valley for forensic interview point of service. The contract total is $500. ■ Approved the FFY 2017 Emergency Management Performance Grant Agreement between the County and PEMA to reimburse up to 50 percent of EMA employee salaries and benefits. The grant total is $116,833. ■ Approved a contract addendum between the county and PrimeCare Medical Inc. to extend the Comprehensive Health Services Agreement to provide health care to Centre County inmates. The contract total is $841,299.72.